Christmas and New Year have fallen reasonably well for me this year, in that I've got a reasonable amount of time not at work inbetween days at work. I had big reading plans but haven't really followed through on them, instead it's been a bit of gentle tidying and a lot of being quite lazy and doing nothing - a rare treat that I'm enjoying. There's also been a bit of drinking nice things, so a few thoughts about home bars and wine storage seems like a logical way to finish up decembers posts, not least because I had some good luck hunting for glasses yesterday - good glasses are very important. In terms of keeping wine at home I used to live in a house that didn't have central heating, it was extraordinarily cold in the winter, and not especially warm in the summer. It didn't have a cellar, but it had a cupboard under the stairs which maintained an even and low temperature throughout the year, protected wine from sunlight, and generally kept things very well. The flat I live in now gets far to hot in the summer, doesn't have anywhere really good to keep wine, and after opening a couple of older bottles recently I've renewed my resolve to get through all the good stuff I've had hanging around for a while whilst it's still worth drinking. A bottle of Sauturnes had definitely gone past it's best, and I got to a bottle of 2003 Shiraz I opened last night just in the nick of time. The cork was crumbly and another hot summer would have seriously started to cook the fruit flavours out of it. The lesson really is if you don't have somewhere appropriate to store wine, don't hang on to it, or over invest in things that need cellaring before they're worth drinking. Storage issues are one reason why I drink more spirits than wine now (the other is that I find it easy to have a single gin, whisky, whatever whereas when a bottle of wine is open there's a very specific window within which it needs to be drunk, which can mean pressure to drink more than I want to). I know from work that my increasing interest in cocktails (specifically) is a commonly shared one, so much so that it's customers questions that started me down that particular path in the first place. The home bar is definitely becoming a thing again (Henry Jeffrey's has even written a Book about it). From a wine merchants point of view, as well as a personal one, I have a lot of opinions about home bars starting with cocktail mixing equipment. I've not had much luck with proper cocktail shakers (I find the top, which should also act as a measure often gets sticky and stuck, that the threads for screwing and unscrewing the top half are often not as good as they could be) and I'm quite happy improvising with a jar that once had cherries in kirsch in it. This suits me and the kind of drinks I'm mixing, so I think it's worth taking the time to work out exactly what sort of equipment you want or need rather than spending money on it up front. Glasses however are really important. When it comes to wine glass shape matters a lot, if you buy good wine invest in good glasses, they'll noticeably improve the drinking experience. The very minimum standard should be a reasonably thin, tulip shaped glass big enough to be able to swish your wine around in a bit (should you feel the need to do such a thing). In terms of cocktails tumblers, high ball glasses, and cocktail glasses are all neccesary. Presentation matters for these drinks, it's half the fun of them, so taking care over the glasses you buy makes sense. Mine are mostly antique and junk shop finds, and not expensive. I have some Edwardian Champagne coupes that are terrible for Champagne (the bubbles dissipate far to quickly, and it does nothing for the aroma) but which do good service as cocktail glasses, and which I particularly love. My preferences are for glasses which have a good weight and balance to them, feel nice to hold, fit well into my hand, and feel good against the mouth - so I think you need to be able to pick them up before you buy them. What exactly that means will vary according to the individual, but definitely take the trouble to get glasses right for you. A lot of cookbooks include cocktail recipes now, and there's a growing number of dedicated books too, as well as a world of information online. It's worth having at least one dedicated book you really like as a starting point though. For me that's the Savoy Cocktail guide which reflects other interests (period detail particularly) as well as giving lots of template recipes that have taught me how to make simple things well. There's also a lot of crap in it, so if you're not specifically interested in the history element it might not be your first choice. As long as whatever book you start with has a good selection of things that don't need a lot of ingredients, and sound like you want to drink them, you're off to a good start. That also means that I want a good repertoire of drinks that build on the same basic themes because I don't want a small fortunes worth of bottles cluttering the place up. More so because a lot of liqueurs are relatively low in alcohol (around 20%) as are vermouths. They start to lose their flavour if they're open too long, so however tempting it is to buy all the drinks, be sensible about it, also periodically check open bottles to make sure they still taste right. Bitters on the other hand are you're friend in this situation. They keep reasonably well, and you can have all sorts of fun with them. I don't drink enough, or with enough people, to want to bother making flavoured syrups which again need to be used fairly quickly. They also demand a degree of forethought about the drinks you will be making that doesn't suit me. However appealing a drink sounds on paper it's worth considering if it's the kind of thing you really want to make before you embark on a weeks worth of preparation and buy a list as long as your arm of things to go in it. If on the other hand this is exactly what you do want to be doing, I'd be delighted to be your friend and help you try these creations. Happy, sensible, drinking, and Happy New Year. It's here - work is done, I'm off for the next 3 days, and after that it's all considerably calmer anyway. It's not been an easy week, but I'm more or less in one piece, and so ready to drink champagne. My mother and I have a tradition going back a good few years now, I go to stay with her in Christmas Eve, taking the best bottle of champagne I have with me, and we sit and drink it. It's possibly the best part of our Christmas, we might have a bit of pottering around left to do, but the hard work and prep is out the way. We make half hearted suggestions about midnight mass, play with the dog, watch a bit of television, and talk. If my sister would let us it's when we'd open our Christmas presents (we did for a couple of years when we were going elsewhere on Christmas Day, it seemed like a much better time). The end result is that we're happy, relaxed, and full of good champagne. This one was my New Years resolution for 2018, I like Pol Roger as a house (a lot) but have never tried the Blanc de Blanc (do called because it's made from 100% Chardonnay, the only white grape amongst the 3 permitted varieties for champagne). I don't read much in December - I'm too busy at the beginning, too tired and grumpy at the end to concentrate on much, but by the time I go to bed tonight I will want a book again, and I'll want it to be something like Saki. I feel like he's not quite as much loved as he ought to be, I could be totally wrong about that, but People don't seem to talk about him so much as they might. I spent a long time trying to think of the right drink for him, he died in 1916, shot by a sniper. He was in his 40's and needn't have signed up at all, but wanted too. It's a side of him that seems a little at odds with the elegant, witty, satire of his short stories. His sister destroyed most of his papers after his death and wrote her own account of their childhood. As Saki (Hector Hugh Munro) was gay it's easy enough to see why she might have felt she had to do that, and such a shame to think about what we lost in the process. We have his stories and books though, and they are brilliant (one of them is featured heavily as a plot point in Raymond Postgate's 'Verdict of Twelve' reprinted in the British Library crime classics series and also excellent). In the end nothing other than Champagne with both its soarklevand acidity seemed right. Happy Christmas everyone, I hope you all have something good to read, and something nice to drink be it tea or champagne or anything in between. This is a collection of previously lost stories by big names in golden age detective fiction, selected and introduced by Tony Medawar. I bought it at the Bodies From the Library classic crime conference at the British Library in the summer. I'd normally wait for a book to come out in paperback - hardbacks take up more space than I like in my small flat, but it had a Georgette Heyer story and looked like fun. I love the idea of lost stories - they're the sort that appeared in often quite obscure magazines (some had never been printed before) and were once bread and butter for successful writer in a way they just aren't any more, so potentially there are a lot of them out there. Some will be better than others - the Heyer in this one isn't her best work by a long way, but it was fun to read as a fan. Shamefully I never got much further than the Heyer story, so this is another book I'm looking forward to getting stuck into when things calm down a bit (two more days of crazy left at work, and frankly my brain is fried when it comes to anything that involves any kind of concentration). There are some big names here (Agatha Christie, Cyril Hare, Freeman Wills Croft, and A.A. Milne amongst them. It's just the thing for fans of golden age crime, not least for it's curiosity value, and for people like me because I love a short story collection. I also think they're the perfect Christmas present because however busy the day is chances are you'll get the chance to read at least a couple. A Bronx is basically a perfect, or medium, Martini with added orange juice. Martinis have become progressively drier over the years, something that I consider to be more or less macho nonsense - I see no reason not to drink more or less neat gin if that's what you like, but it's not what most people really like. The recipe for a dry martini in the Savoy Cocktail Book is 2/3rds gin, 1/3rd French vermouth which I think is about right - I've seen recipes that have as little as 1/10th vermouth. The medium Martini is 1/2 gin, 1/4 French vermouth (dry), 1/4 Italian (sweet, and in my case also rosso). If very dry drinks aren't your thing it's an excellent place to start, and much as I love gin, I also like be the range of flavours the vermouths bring to this drink. To make it a Bronx add the juice of quarter of an orange, shake it up over ice, and strain into a glass. The addition of orange juice makes it feel like a lighter drink, without losing the sense that you're drinking a hefty amount of alcohol (which it's not safe to forget). Still, it sits better on an empty stomach as a pre dinner drink than a lot of other things I've tried (I like the idea of these for New Year's Day when you're still in a holiday mood, but making a nod towards better intentions). There are so many things that I loved about this book that I couldn't miss it out of this series of books and booze, but it's been by far the hardest to think of a match for. That's partly because one character is an alcoholic, and it always feels questionable to be recommending a drink if that's part of the context. 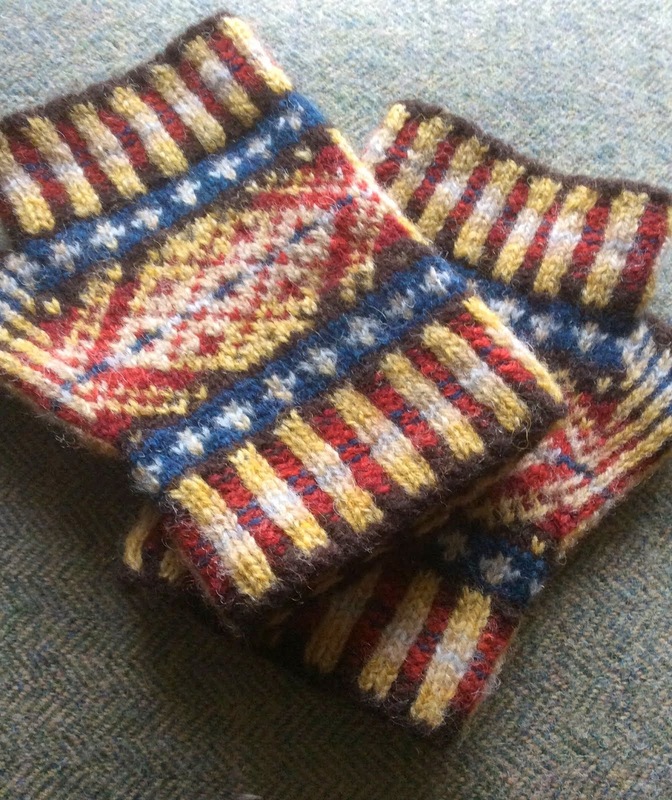 It's also because whilst drinking is part of Shetland culture, pubs are not. There are now a couple of breweries and a gin distillery, but the transport cost means the (very good) beers aren't especially easy to find outside of the islands (and definitely not this far south). One of the discount supermarkets (I can never remember which is which) was selling one of the Shetland Reel gins at a very good price, if you see it, buy it, it's an excellent gin, but it doesn't really capture the spirit of the book. Malachy Tallack's characters drink all sorts of things throughout the book - tea especially, and that's possibly the drink I associate most with the Shetland that he's describing. They also drink all the other things ordinary people drink in the general way of things. If I think of what David, the older male character, or Maggie, the woman who's death opens the book would drink though the answer is probably McEwans Export (or Tennent's - both McEwan's and Tennent's cans were ubiquitous in every roadside ditch when I was a child) for David, and a whisky like The Famous Grouse or Bell's served in a thimble sized shot glass, possibly with a kilted bag pipe player, or sprig of Heather on it for either of them. It's easy to be dismissive of blends like this these days, they're not especially fashionable, and somewhat looked down upon by a certain sort of whisky drinker - although they sell as well as ever. My preference is for Grouse, partly because I like the label, and love their adverts. Mostly because their blend has a good bit of Highland Park and the Macallan in it, both of which I'm especially fond of. It doesn't hurt that it comes with a bit of nostalgia for some sadly departed friends. I'll admit I generally only have single malt in the house, and just as happily admit that sometimes that's a nuisance. I don't mind bathing my Christmas cake in Old Pultney, it's a once a year deal so it can drink whatever I'm having, but it's not really what I want to use for hot toddy's or whisky and ginger. Both of which are winter favourites, neither of which especially want the whisky to take over the mixer as say a Talisker or Lagavullin might. Nor do I want the particular subtleties of a precious bottle of whatever it might be drowned out by ginger, or honey and lemon. The difference between blends and single malts isn't particularly one of quality. Until relatively recently you bought a blend precisely because it did guarantee quality and reliability. The grain element (which is cheaper to produce than the malt part because it's continuously distilled rather than pot stilled) forms a relatively light, smooth, background for the rest of the blend. Once you've found your preferred brand you should have something with a character you like, that balances nicely with your mixer of choice. Something like proper thoughts about The Valley at the Centre of the World are Here. It has a lot to say about island living, tradition, people, love, and life generally and is absolutely worth having a look at. It's not been an especially good day, not least because I got soaked going both to and from work - always a treat. It's a filthy night out there, heavy rain accompanied by a wind strong enough to take out an umbrella and make sure you get evenly drenched. On the upside I'm home now and as soon as I've written this post it's a hot bath then bed, I also replenished stocks of French (dry) vermouth so whilst I write I've got the company of a Dolly O'Dare. There may be more than the usual number of typos and spelling issues. 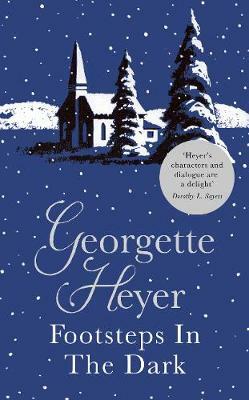 I notice that Georgette Heyer's 'Footsteps in the Dark' has had the Christmas treatment this year, appearing in a smart new hardback edition. I wonder if the whole series of her detective fiction is going to get rolled out in this way (which would be nice) because there's nothing particularly festive about this book - or at least it's not obviously set at Christmas. On the other hand it's a country house mystery with rumours of a haunting, not at all taxing, and like all Heyer, solid fun. I think books like this deserve vintage cocktails - something that adds to the atmosphere of the thing without being to much of a performance to make. I saw the Dolly O'Dare when I was looking for apricot brandy ideas, but lacked the correct vermouth at the weekend. A dry vermouth is a handy thing to have around - not just for drinks, but also for cooking with. Throw a bit at chicken or pork, or in moderation with white fish, it won't let you down, and it all helps use it up because it doesn't keep indefinitely once it's open (aim to get through the bottle within a month, and be sure to keep it in the fridge once open). The Dolly O'Dare is half and half French vermouth and gin with '6 dashes' of apricot brandy, shaken well over ice, strained into a glass and garnished with a piece of orange peel that you squeeze over it. I make my cocktails on the small side, so I'd say enough apricot brandy so that you can just taste it, but it doesn't dominate - to get the right balance for you might take some experimentation (It's easier to add than take away!). I also think you can do perfectly well without the orange peel which I think tips the balance to far towards sweet. Otherwise you have a perfectly respectable, if quite wet, martini with a frivolous dash of fruit. Heyer herself probably wouldn't have cared for the apricot element, but I think some of her characters in here would rather have liked it. I certainly did. 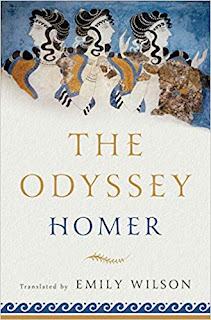 Another book high on my wish list for Christmas is Emily Wilson's translation of 'The Odyssey'. I have vivid memories of reading a Penguin Classics edition in Amsterdam when I was 17, but not such vivid memories of the details of the story, so I might have to reread that copy too. I do remember it being a great story though, and I'm really interested to see what Emily Wilson brings to it. If I don't find it under the tree I've been given a book voucher (it's been a while since anybody did that and I'm so excited by it) and it'll be the first post Christmas purchase I make. A good bottle of something Greek is the obvious choice here, although unfortunately the great British public have been resistant to Greek wines. 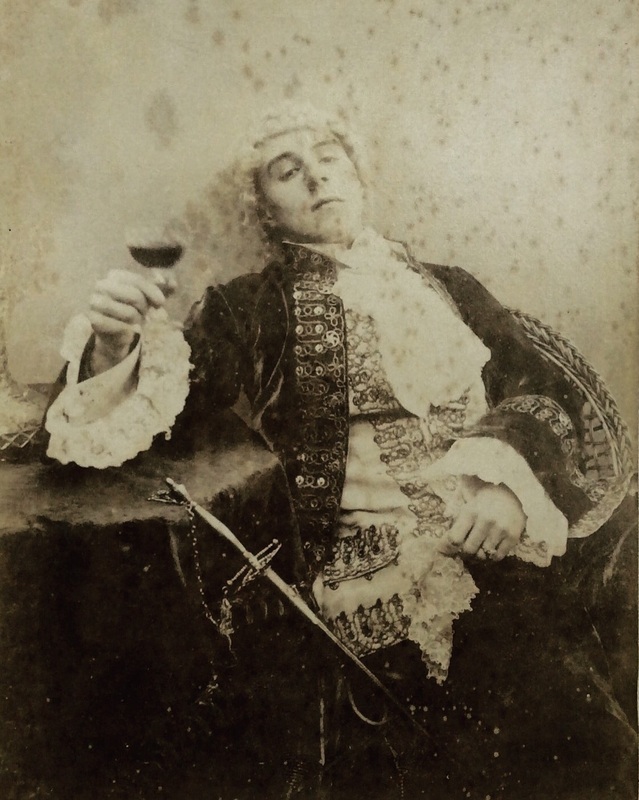 My first job in wine was with Oddbins at the turn of the century. The story of Oddbins and Australian wine was the stuff of company legend - briefly a very junior buyer had been sent to Australia sometime in the 80's (memory is hazy). At the time the UK was more or less oblivious to Australian wine, we imported some, but not a lot. This guy fell in love with everything, bought a lot of it, and we all agreed with him. Someone came back from Greece hoping to pull off the same trick, but it didn't work out. It was a real shame because the wines were excellent- great flavour, interesting grapes that added something to the palate of available flavours, very high quality - the whole package. Unfortunately people couldn't seem to get past the idea of retsina and cheap holiday wine for a couple of Euros a bottle. They wouldn't pay for the good stuff. 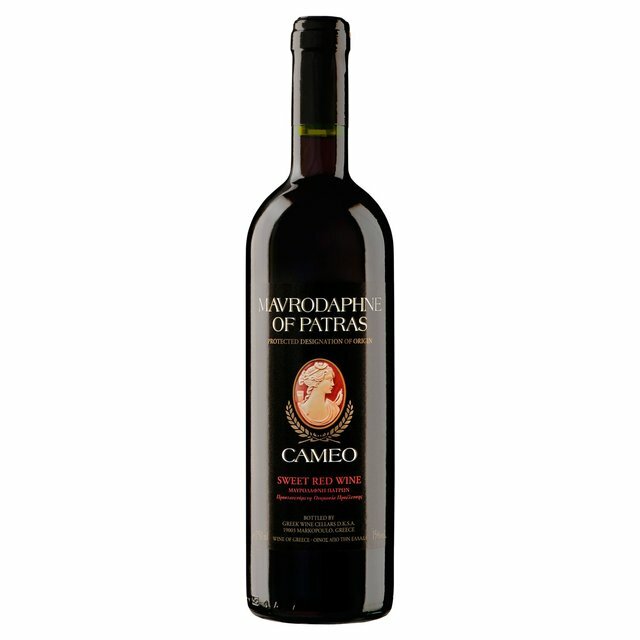 There are a few good Greek wines to be had (Waitrose does an organic cabernet sauvignon that I really like for about £10, it's well worth trying) but they're few and far between. 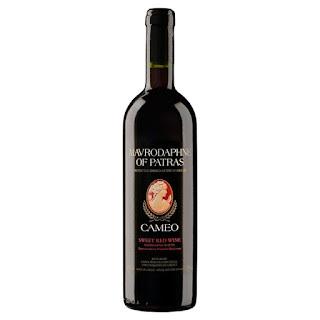 Something that is widely available though is Mavrodaphne of Patras - a sweet, fortified, red that's also worth a look. It's relatively cheap - well under £10, and not a bad substitute for port. It works well with chocolate desserts and cake, and should get on well with all the Christmas dried fruit. As is probably very clear by now I'm a fan of sweet wine on it's own too - a small glass is an excellent alternative to a pudding. I also think that this sweeter wine is closer in spirit to the sort of thing that Homer might actually have drunk when wine was regularly sweetened and flavoured to improve it. Alex Johnson's 'Shelf Life' is a delight, a collection of short pieces about books and reading by a range of writers and notable figures. It's funny, thoughtful, and would make a perfect little gift for anybody who likes reading about books. It has the feel of something intended mostly for gift giving, or to be the sort of book you would find in a bibliophiles bathroom - but it's much better than that might suggest - I'd treasure it for William Blades opinion on should children be allowed near your shelves; 'The Enemies of Books', and his horrid vision of precious first editions launched as missiles. It's a hard no from William Blades. The thing about books like these is that so often after one reading the charm wears thin, but Johnson has unearthed things that don't lose their charm through repeated contact which makes it a total winner in my view. I feel the same about Madeira. If ever there was a wine for which you could claim age does not wither it, nor custom stale it's infinite variety - to sort of quote Shakespeare - I'd say it was this one. Especially on the age front. I was told as a young wine merchant that it wasn't worth drinking Madeira less than 15 years old. It's a sentiment that a broadly agree with, I'd only really use younger Madeira to cook with - but I know I like it, so I'm happy to make the investment in an older bottle. I did take my time to work up to those though, and taste is very much a personal matter and others may well enjoy younger Madeira more than older bottles. The great thing about this wine is the unique way in which it's made (it's both heated and oxidised, two things you normally try to avoid at all costs) which means it's almost indestructible in the bottle, something that you can keep open for years rather than weeks. I always have a bottle for cooking with, it does great things for a gravy for a start, I've been splashing some over pheasant all this winter too (if that sounds decadent, a free range, well fed, fat free pheasant, that will comfortably feed 3 costs £3.99, or a brace for £7, on the market at the moment) and very nice it's been. Malmsey is the sweetest, richest, style of Madeira and my favourite. Because of its complexity it's not a sugary sweetness (think of nuts, dried fruit, coffee, and dark brown sugar flavours) and I find it the most versatile in the kitchen, as well - good not just with those pheasants, but with sweeter things too. A small glass to finish a meal, either with cheese, or perhaps something with dark chocolate, or a sticky toffee pudding is great. Mostly I'd drink it in it's own though, or as a reading wine - a comfortable, interesting, companion to bring out on a cold wet night when it's an absolute pleasure to be at home with a good book and a good wine. I've had a busy, and more or less productive day in and out of the kitchen (made Lebkuchen, fudge, and dipped the candied oranges in chocolate, run chores in town, finished Christmas cards) and so before I start cooking again for dinner I thought I deserved a treat. The treat was to find a suitable cocktail to match Anita Loos' 'Gentlemen Prefer Blondes'. 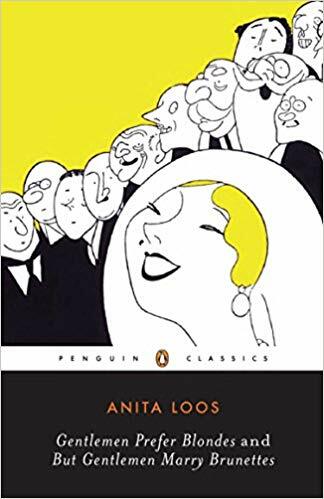 I've checked, and this is more or less currently in print, it is also one of the funniest books I've ever read, but it's nowhere near as widely known as it should be. Anita Loos wrote it in 1925, and it follows the adventures of Lorelei Lee and her friend Dorothy as the travel across Europe in search of a man rich enough to get Lorelei the diamond tiara of her dreams. Various millionaires have to be rescued by their mothers, someone might get shot, and Lorelei acquires jewellery for as she says "kissing your hand may make you feel very very good but a diamond and safire bracelet lasts forever." (her spelling). Which is entirely true. My penguin edition has the sequel 'But Gentleman Marry Brunettes' which is just as good - definitely get an edition that has both, and definitely get this book. I knew I wanted a cocktail (although Lorelei wouldn't object to Champagne either) and I particularly wanted something that would use apricot brandy as both the colour and it's fruitiness seemed a suitable tribute to Lorelei - and it's a classic thing to have around at Christmas, so I scoured The Savoy Cocktail Book for something suitable. It took 3 goes to feel like the balance was right between character and something somebody might still want to drink. The first try was the promising sounding Babbie's Special, which is a dash of gin 1/3rd sweet cream, and 2/3rds apricot brandy, but although it really showcases the apricot flavour I also found it a bit one dimensional. I'm out of French vermouth and the weather is to nasty to make leaving my flat to get more at all attractive so I didn't try the Fairbanks cocktail (No. 1) or the Dolly O'Dare, either would certainly give the right atmosphere. Another time. But I did try the Fairy Belle. This is the White of an egg, a teaspoonful of greanadine, 1/4 apricot brandy, 3/4 dry gin. It came out a grubby sort of beige colour, and was distinctly average to taste so most of it went straight down the sink. Third time was more or less the charm. The Cuban cocktail (No. 1) is basically a daiquiri by another name - which makes sense, the Cuban cocktail (No. 2) is the juice of half a lime or quarter of a lemon, 1/3rd apricot brandy and 2/3rds brandy shaken well over ice and poured into a cocktail glass. Neither brandies seem particularly Cuban to me, but regardless the drink isn't bad. The apricot flavour is there, but well balanced, the lemon gives a refreshingly sour sour note, it has a pretty golden colour, and kicks like a mule. You know you're drinking this, which isn't a bad thing. I can definitely imagine Lorelei and Dorothy drinking these, and I'd serve them too as a seasonal aperitif, as well as with the book that Edith Wharton called 'The great American novel'. Yesterday I bought a Christmas tree and decorated it. Still been years since I had a real tree, for a while I just didn't bother (between working like crazy in the run up to Christmas, and then being away for the day itself and often the first week of new year, and it only really being for my benefit, it didn't seem worth the fuss), and then I got a plastic tree because it seemed sensible in a flat. Looking at my real tree it's worth the effort. It looks so much better in all its asymmetric glory than any perfectly shaped plastic replica, and the decorations look far more at home on it than they ever have on my (admittedly budget) fake tree. I think I'm committed to doing this every year now. My relationship with Vermouth is a not dissimilar story - in that it's taken me a long time to really appreciate how good a thing it is, but now that I have there's no going back. An early misadventure which involved drinking far to much Martini extra dry didn't help. Vermouth, like Brandy, isn't the easiest thing to categorise. It comes sweet, dry, and a few things inbetween, in red, white, pink, and orange colours, from France, Italy, Spain, Australia, and all sorts of other places - and all of them have something individual to offer the mixologist and drinker. It was only when I started exploring The Savoy Cocktail Book that I really began to grasp how complex the subject was. There are a host of recipes that use 2 types of vermouth at a time in differing proportions to get different results. After some research I have at least discovered that in older books 'Italian' generally means red/rosso and slightly sweeter, whilst French is dry and white. Vermouth itself is a fortified, aromatised, wine. It's been around in it's current form (more or less) for a couple of hundred years, and if you like gin it's you need to explore it. Equally if you're looking for a slightly lighter alternative to spirits for a long drink, vermouth is great mixed with tonic, soda water, or lemonade - according to taste. It's bottled at around 16 - 18% abv against the somewhere around 40% of most spirits so that's only a lighter option rather than a low alcohol one. Once open a bottle keeps well in the fridge for round about a month before the flavours start to fade, but it's good for cooking with too, so getting through a bottle shouldn't be hard. That said I avoid the litre bottles of Martini because I wouldn't get through them anything like fast enough. There are an increasing number of smaller, more expensive, bottles around which I consider worth the investment though because the quality is better and I don't waste any of them. Cocchi, Lustau vermut, and Regal Rogue (this is a fairly new to the UK Australian brand - it uses less sugar than European versions, lots of Australian botanicals, and was a surprise star of the last big wine tasting I went to in all its expressions) have all been recent favourites, and aren't to hard to find. Given my new found love of the stuff you can imagine how pleased I was when I saw this quote from E. F. Benson's 'Queen Lucia'. Olga is speaking to Georgie "Come into my house and we'll drink vermouth. Vermouth always makes me brilliant unless it makes me idiotic, but we'll hope for the best." There is something about the flavour of vermouth - or it's flavourings, combined with that unmistakable fortified hit that I've convinced myself is the flavour of the roaring 20's. It's certainly how I imagine it and I feel like Benson is confirming it for me. For anyone as yet unfamiliar with the Mapp and Lucia books, 'Mapp and Lucia' is probably the best of them (it's certainly the one you're most likely to find in bookshops) and though it comes towards the middle of the sequence it's also a great place to start, you can always go back to the earlier books if you find yourself hooked in. To celebrate my birthday I finally opened a bottle of Chateau d'Yquem I've been hoarding for far to long. In all honesty it had passed it's best, but it was such a grand wine that I'd made the common mistake of holding on to it waiting for an equally grand occasion. When you have a really good wine the thing to do is drink it, especially if really really good wine is normally outside of your budget (when I started out in wine some 20 years ago you could buy some very good things for around the same price as a decent bottle of champagne (£20-£30). You can still get those champagnes for more or less the same kind of price (£25-£45) but the clarets (especially the clarets) I used to love are now £150 or more a bottle, which is well outside of my budget. There are still plenty of very good things to be had under £30 though and it's much better to focus on those. Dessert wine is one of them. There's a weird prejudice about sweet wines which helps keep the prices relatively low for the quality that you can get (this is relative, but value isn't directly related to price) which is good news for those of us who appreciate them. I have an absolute passion for a really good Sauturnes, or Monbazillac if you want a cheaper version. These are sweet wines, but the notes are marmalade, lanolin, and dried fruit - and it's sweet the way marmalade is compared to jam. I love the complexity of these wines, the layers of flavour, and the length of time it lasts. I think they're perfect on their own to end a meal, and better matched with cheese (something like a Stilton would be the classic match) rather than the trickier proposition of trying to find a dessert which doesn't overshadow the wine. However you choose to drink a Sauturnes though, keep it simple and let the quality of the wine sing out. In terms of buying, do a little bit of research. For the very best Sauturnes the grapes are picked individually when they've achieved just the right amount of noble rot (botrytis). They don't yield a lot of juice, and everything about making these wines will be painstaking. That doesn't, and shouldn't, come cheap. Around £20 for a half bottle would be the entry point for something good. Waitrose do an excellent in partnership wine with Chateau Suduiraut for about £16 which is tremendously good value. De Bortoli Noble One is an Australian version (same grapes, same process) of Sauturnes also exquisite, and around £20. A good wine merchant will be able to advise on what they have with reference to both vineyards and vintages - just don't be tempted to economise (better to do without altogether) because this should be a glorious, unctuous, golden, treat. In many ways then a Sauturnes is my ideal wine to match with a book because it's so good without food, more specifically the kind of book which demands a bit of thought, one where you can pause to consider the wine along with the point of what you're reading. Marina Warner's 'Forms of Enchantment, Writings on Art and Artists' is just such a book. I'm really looking forward to having the time to read this book properly, I'm familiar enough with most of the artists Warner covers to be interested by the ones I don't yet know, and very interested to read her thoughts on the work of people like Paula Rego, Henry Fuseli, Louise Bourgeois, Damien Hirst, and Hieronymus Bosch particularly. The illustrations are excellent quality (and the paper feels particularly nice too). This is exactly what I want to be reading in January when I have time to think again. It's my birthday tomorrow so I've been running round like a maniac all week to try and get in top of, and even ahead of, the long list of jobs that December brings. I think I might be more or less on top of stuff, regardless I've opened some Champagne and don't care about anything else being done or not for the moment. The Fortnum & Mason Christmas and other winter feasts Book has a suitably celebratory feel about it for almost a birthday. I love Fortnum & Mason's at any time, and really liked the first cookbook that Tom Parker Bowles wrote for them. This one (the second) is even better in my opinion. Part of that is undoubtedly because a bit of Fortnum's sparkle is never more appealing than at Christmas when all out luxury is more or less the order of the day. That's what makes the lists of products so enjoyable to read about - close your eyes after some pages and it's pure Nutcracker territory during the dance of the sugar plum fairy. What really makes the book work though is that everything in it sounds good, and a good proportion of these recipes are likely to find their way into my winter repertoire. It's the same mx of fantasy and practicality that makes the shop so irresistible to me, and it's definitely the sort of Cookbook you don't necessarily know you need until you have it - which makes it perfect present material. I'm pairing it with sloe gin laced cocoa, mostly because that was my immediate stand out hit from the book, and it's delicious. The recipe in the book calls for a terrifying amount of cocoa powder, which I found a bit to bitter, so it's probably better to experiment to get the right balance for you. I'd actually never drunk cocoa before - only hot chocolate which powdered or made with melted chocolate is considerably sweeter. Cocoa powder was for cooking with. I wouldn't have liked it much as a child, but as an adult the relative bitterness/dryness is appealing just as Cadbury's drinking chocolate now seems far to sweet. Make your cocoa with milk and a good slug of sloe gin (again add as taste and discretion suggest, there's no need for measurements here) either stir in some double cream to make a thicker, richer, drink, or whip it to spoon on top, and add soft brown sugar to taste if you want a little more sweetness. Damson or mulberry gin would also be excellent. It's not just the rich, slightly decadent, thoroughly grown, up flavour of the drink I like so much (although it is all of those things, and they are good things to be), or that it's warm and comforting on a cold day, I am also really pleased to have a use for the sloe gin I have hanging around. I have never yet managed to make a batch, or buy a bottle, where drinking it neat hasn't put me strongly in mind of cough medicine (quite a nice cough medicine, but still...). I like it much better in things, and never more than in this. I love the idea of collected volumes of letters and journals in theory, but in practice rarely read them. 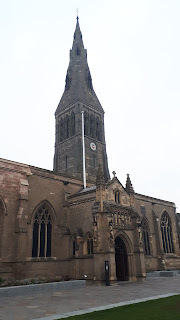 At one time I had a good yard of Mitford letters but eventually sent them to a charity shop, that might partly be because the older I get the less patience I have for Mitford affectations, but definitely had a lot to do with feeling uncomfortably voyeristic reading them. And so it's been for various other collections of correspondence. Journals are a bit different, especially ones written with an eye to future publication, but by their nature they tend to be doorstop books soagain they sit reproachfully unread on my shelves. Sir Walter Scott's journal is the exception that proves my rule - I've been regularly dipping into this one since I bought it in the summer. I have a soft spot for Scott, who seems to have been a decent man by any standard you can apply, and was also a tremendous innovator. 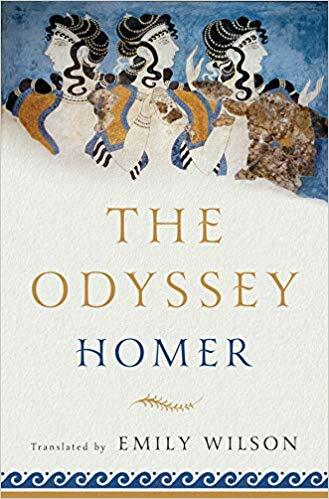 His books are sadly unfashionable now which is a shame because the best of them are more than worth the slight effort it takes to adjust to the pace that Scott imposes on his readers (which is after all part of his charm). The worst of them are pot boilers written after the collapse of his publisher left him with serious liabilities which he determined to write his way out of (he could have walked away, but chose not too), but they're not generally in print now so are easily avoided. His journal covers the last 6 years of his life, and is fascinating. There's such a lot in here about the man and his world, all in bite size chunks so if your interest is Scott, or the early 19th century, it's an absolute goldmine. This sat hopefully on my wish list for a couple of years before I found a bargain copy on holiday - I would have been delighted if someone had given it to me (being interested in both the man and his times) it would certainly have kept me quiet and happy until 12th night and beyond. Scott would be an excellent opportunity to discuss Claret (which is another subject dear to my heart, and was plan A) but then toffee apple asked about ginger wine. Stone's has been around since the 1740's, Crabbies sine 1801 (these are the brands to go for, neither are expensive, aficionados have a strong preference for one or the other, experiment to see which works best for you). It's a fortified brew of fermented ginger, raisins, and other things (citrus, spice, and secrets), and once open best drunk within 3 weeks (otherwise the flavour will fade). It's a handy ingredient to have around, especially in winter if you want to give anything a bit of ginger kick. To drink it's good over ice, or straight out the bottle, but maybe best known for its role in a whisky mac, I've always been given this half and half, but again experiment to see if this is the right proportion for you (a blend, no need to break out the single malt for this). It's also a popular addition to Mulled wine (instead of port or brandy) and makes an excellent toddy along with honey and lemon. The Stone's website particularly has a decent list of recipes if you're after further inspiration. I loved The Scarlet Pimpernel as a teenager (and still do), and think I read most of the series in battered old Library copies that have almost certainly been destroyed by now. What I only started to realise in the last few years was how many other books Orczy had written, including reasonably early detective fiction. Since then I've obviously wanted to read them, but they've not been the easiest books to come by (more or less out of print, and with a mixed reputation which makes a serious investment of time or money a bit risky). Pushkin Vertigo is one of my favourite imprints, and so far everything I've read or bought (I've bought a lot more than I've read) in it has been international noir so I was almost as surprised as I was delighted to see that they've reprinted 'The Old Man In The Corner', and that early next year we're getting 'The Case of Miss Elliot' as well in 'The Teahouse Detective' series. I've started 'The Old Man in the Corner' and it's promising to be everything I could want it to be (an elderly gentleman is mansplaining crimes to a competent female journalist, I think she's going to get the last word though). I've also spent quite a bit of time trying to think what Polly Burton of the Evening Observer would drink. I know she drinks coffee because that's what she's having with her lunch on page 1, and coffee or a good cup of tea (an Assam heavy blend seems most appropriate for the teahouse setting) are obviously a good match for any book, as well as being the lunch time choice of a female journalist of the Belle Époque - but what else would a respectable, independent, young woman of the age drink? One answer might be Champagne, but Polly is earning a living so Cremant de Bourgogne (or Sparkling Burgundy) would be the economical alternative. When I started out in the winectrade New World Fizz was the thing everybody wanted, then Cava had its moment, and currently it's Prosecco. I've never quite understood why prosecco is quite as popular as it is - beyond its relative cheapness. It's okay, but it's often quite bland and a bit sugary, and there are much better things out there. One of the better things out there is Cremant de Bourgogne, which is finally getting a bit more attention. The great thing about this wine is that it's made using the Champagne method (bottle fermentation means better ageing potential, more complexity, better quality fizz) from more or less the same grapes as Champagne (though some gamay and aligoté might also be used - there are only 3 permitted grape varieties in Champagne; Chardonnay, Pinot Noir, and Pinot Meunier - but that's another post in itself). The short version is that you're getting Champagne quality and flavour for a fraction of the price. There are plenty of good quality Cremant de Bourgognes around for between £10-£15 at the moment and for that you'll be getting something that will rival any NV Champagne, if you're looking at cheaper Champagne generally I'd recommend the Cremant over it every time. It'll almost certainly be better, and much better value. I'd also put in a good word for those new world fizzes - quite a few are made by Champagne houses anyway, and they too are excellent quality at very reasonable prices. I don't know why they fell out of favour but they knock the socks of most prosecco's I've tried. My spirits of choice are whisky and gin, not the least of their attractions is that they're relatively easy to understand. Brandy is not my drink, although I'd never be without a bottle in the house, it's also a much more difficult spirit to define or explain. It's mostly made from grapes, but can be made from other fruits, eau de vie for example is a fruit brandy, and Grappa (I approach Grappa with much the same caution as raw oysters, and with about as much success - it really isn't my drink). Sometimes it's made in pot stills (as in Cognac) sometimes in continuous stills (that's more or less how they make it in Armagnac) which is more or less why the classifications V.S, V.S.O.P, and XO denote different ages from the two regions. It can, and is, made pretty much everywhere fruit is grown... and so it continues. For practical purposes I find it more helpful to think of brandy in terms of cooking, cocktail, or sipping. Cooking brandy would be supermarket own label bottles, or the branded ones at similar prices. These are great for feeding Christmas cakes, deglazing pans, setting fire to on Christmas puddings (or Burnt Coffee) and any other recipe where the flavour of the brandy isn't paramount. Cocktail brandy wants to be a step up in quality, in U.K. Supermarket terms I'm basically thinking of the big Cognac brands, Courvoisier V.S. (Very Special) is the sweetest of these, Martell a little dryer, and Remy Martin V.S.O.P (very special old pale, which is 4 or more years old compared to the 2+ years for the V.S) the latter two are arguably better balanced than the Courvoisier but its very much a matter of personal taste as to which you will prefer. I like H by Hine when I can find it, or an Armagnac, or a Spanish brandy like Torres too. Any of these will provide an excellent base for a drink, and although they're all perfectly good on their own too it's worth bareing in mind with the cognacs that they're blended with cocktails in mind. Sipping brandy is a step up again, not necessarily a step up in price unless you're looking at Cognac, in which case it's definitely a step up in price, but really decent Armagnac, Spanish brandy, and Greek brandy (I'm thinking of Metaxa) are fairly reasonable. A good Cognac will start at about £45 and climb from there, and as ever I'm a firm believer in drinking better but less. There's plenty of good stuff at around that £50 mark. If brandy itself isn't my favourite drink, it's depiction in literature fascinates me. It has a more respectable history than gin or whisky, having always been a gentlemans drink (whisky rose in popularity/respectability when phylloxera devastated France's vineyards seriously affecting wine and brandy production from the mid 19th century) but it comes with an aura of danger as well. 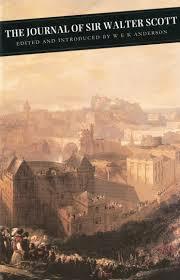 It was a love of brandy and punishment that did for the poet Swinburne, Trollope covers the dangers of excessive brandy drinking in Dr Thorne, and so does Anne Brontë in The Tennent of Wildfell Hall. Evelyn Waugh uses it as a class marker in Brideshead Revisited, and it's restorative properties are needed more than once in 'Spirits of the Season'. This is the Christmas Hauntings offering from the British Library's tales of the weird series. Tanya Kirk is the general editor who also put together 'The Haunted Library' - both are brilliant. 'Spirits of the Season' is stuffed with absolute gems - 'The Curse of the Catafalques' and 'The Demon King' are two new favourites - both are comedies with an eerie edge rather than the sort of thing to keep you awake at night, but there are more chilling tales in there too. I'm not quite sure when we lost the tradition of the Christmas ghost story, but this is just the book to bring it back with. I've been asked a lot today for a non alcoholic Mulled wine, which we do not sell, so this seems like a good time to offer a recipe. I can find the mention of Mulled wine a bit triggering; we either have to much of it in a teetering pile that's threatening to crush me, or not enough and people who can't be bothered to make their own are behaving like it's the end of the world. It's not the end of the world because it's remarkably easy to make (I know I post about this every year, but it never goes away) and so is an alcohol free version. You could use de alcoholised wine - although I don't think I would. I'd be more inclined to start with apple juice as a base, or maybe a mix of cranberry, blueberry, and/or pomegranate along with grape. I might miss out the grape altogether because I find it a bit sweet. Fruit juice or juices chosen it's simply a matter of putting it in a pan along with a couple of cinnamon sticks, a few cloves, a slice of fresh ginger if you want to give it some pep and half a dozen lightly crushed cardamom pods, also star anise but go easy on that, it can easily over power the other flavours. You can also grate in a bit of nutmeg - but the point of making your own is to experiment a bit to get something you really like. If you're using an apple base a few slices of apple, and some lemon peel look good, you could also throw in some raisins, or fresh cranberries. Gently heat everything together until it just reaches a simmer and hold it there for 20mins to half an hour for the flavours to really mingle. If you want it sweeter add a bit of sugar. If it's not apple based oranges, whole with the cloves stuck in them, or sliced, are excellent, or you could use clementines. You could also use the pre mixed wine mulling spices, but they're expensive for what you get and chances are most of what you want is already on your spice rack. And that's it. Throw a few things in a pan, heat it up, leave it be for 20 minutes, serve it. Festive and family friendly. When I bought Philip Pullman's 'Grimm Tales for Young and Old' it was a slightly guilty purchase - but obviously I need multiple versions of these stories, and Pullman is a master story teller so of course his take on them would be worth reading. It was an entirely accurate justification and I'm very glad I did buy this book. Like the mulled fruit juice it really is good for young and old. 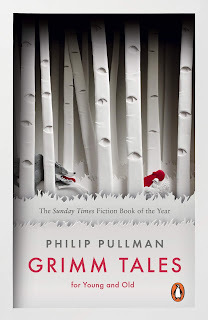 Pullman puts enough flesh on the bones of the stories to make them fun to read, but doesn't interfere with the darkness or brutality of the source material. Each one then ends with its tale type, source, a list of similar stories from a range of sources, and Pullman's own commentary and insights. It's been around for a while (since 2012) but I only came across it this year. It would be the perfect stocking filler type gift for anybody who likes a good fairytale, or anybody who enjoys good story telling. 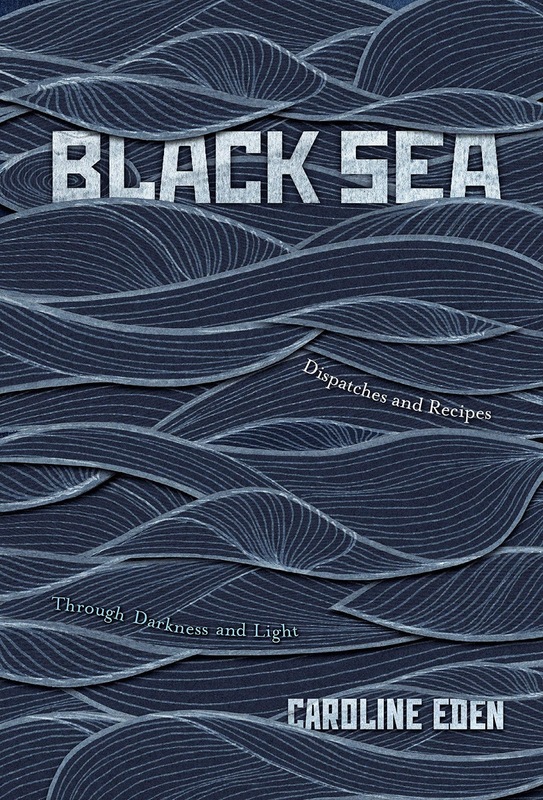 Caroline Eden's 'Black Sea Dispatches and Recipes' is a thing of beauty, it's cover shimmers, and its black edged pages are surely the book equivalent of a little black dress, or a particularly well cut dinner jacket. The contents more than live up to the promise of the cover. 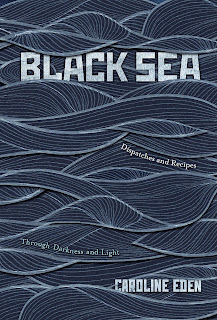 You will find 'Black Sea' in the cookery section of all good bookshops, and there are recipes running all the way through it, but I don't think it's primarily a cookbook. The food is there to give colour and flavour to the stories and experiences Eden is relating. It's a book she means you to read cover to cover, though the essays will stand alone, and you should do what she wants because she's an excellent travel writer and guide. I've had this book for weeks now and am slowly, happily, working my way through it. There is nothing I don't love about it, and if I didn't already have it there's no book I'd rather have found under the tree on Christmas Day. There's a few people I will be buying it for too. The Potemkin Cocktail is one of several in the book with the idea of conjuring up a taste or mood of the region under discussion rather than being some ancient recipe. I particularly like this one for the way it evokes a mood with element simplicity. It's a twist on The Fireside cocktail, I tried making a few versions of the Fireside after trying the Potemkin, the Potemkin is much better. You need some fine salt, a couple of crushed ice cubes, 40 mls of vodka, 50mls freshly squeezed grapefruit juice (pink is best) and a sprig of Rosemary per person. Squeeze the grapefruit, and then dip a tall, chilled glass into the shell of it, before salting the rim of the glass. Add the ice, pour the vodka in, top up with the grapefruit juice, and then take the Rosemary sprig and run a long lighted match along it to boost the aroma, stick it in the glass. Salty, fresh, and an earthy hint of forest from the rosemary - it's the perfect drink for the book, or for a general aperitif. Life is full of surprises. Today's surprise was that I don't own a copy of 'A Christmas Carol', and now I'm wondering if I've ever actually read it, or just seen endless adaptations over the years. I've not been wildly enthusiastic about Dickens (quite like him, but the books are generally long and I've always enjoyed Wilkie Collins more) but even so, not having a copy of A Christmas Carol seems particularly remiss. Another book I don't own is 'Drinking with Dickens' which sounds right up my street - so maybe this time next year I will not only have made sure I've read 'A Christmas Carol' but have done much more research on his drinking habits and preferences as well. Meanwhile I read a reference to the Victorian parlour game of snapdragon recently (which Dickens also mentions) and it made me think of Burnt Coffee. Snapdragon sounds like a health and safety nightmare (you have to retrieve raisins from a bowl of burning Brandy or something - I'm having internet problems today which is reminding me why keeping written notes would be really helpful). I found the recipe for Burnt Coffee in Ambrose Heath's 'Good Drinks' written in the 1930's, but he gives no details about its provenance. It seems like the sort of thing Dickens might have liked though, and I love it. This was an excellent discovery last year that saw me through the worst of the winter. The Burnt Coffee is simply a small cup of strong black coffee with a good spoon of brown sugar stirred in, and then a healthy tot of Brandy gently poured on top. You light the brandy, blowing out the flame before all the spirit is burnt off. The result is a little like an Irish coffee without the cream. It's sweet without being too sweet, potent without being too strong, and generally delicious. I like the drama/ceremony element of lighting the brandy and think this is enough of a nod to dangerous Victorian parlour games to capture the spirit of the thing without risking serious burns. It may not be the most authentic match, but it's a good one. I went to a ladies (clay) shooting day today. It rained heavily, my feet got extremely cold, and I didn't hit much. Regardless I enjoyed myself, the lunch was excellent, and I encountered a Bull Shot for the first time. A bit of research tells me that this take on a Bloody Mary probably originated in America in the 1950's and that it currently has a bit of a tweedy reputation (which would fit with the tweedy gentleman who was making it). I'm prepared to accept the 1950's date, but I wouldn't have been at all surprised to find this has much older roots (and I'll be keeping an eye out for earlier versions). Tim Dee's 'Landfill' is the latest in the Little Toller series of monographs - these books are the perfect size to fit in a pocket, cover a diverse range of topics, are beautiful to behold, and are generally brilliant. "Landfill tells the story of how we have worked the rest of the living world: learned about it, named and catalogued it, colonised and planted it, and filled it with our rubbish." 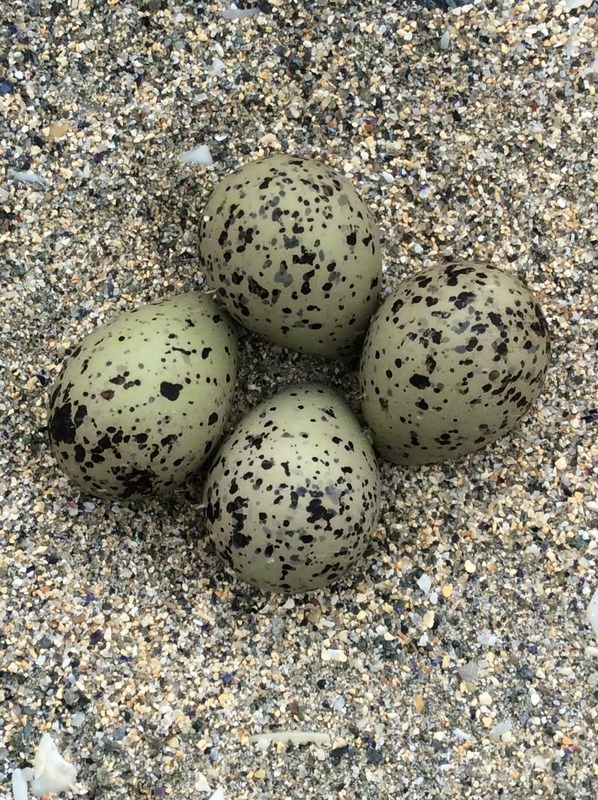 It's also about gulls, how they've learnt to exploit our rubbish and how this disturbs us. On a practical note the Bull Shot is the sort of drink you might want to put into a thermos to take out on a cold day whilst birdwatching, or just walking generally, or to have ready to heat up when you get home. There's also something about the punchiness of the drink that puts me in mind of a piratically inclined herring gull that's just spotted someone with hot chips and their guard down. It can be made hot or cold, I'm altogether more interested in hot drinks - hot boozy drinks are under appreciated, far too many people never get further than mulled wine, but they have a lot going for them. Mostly that they're hot which is just what you want on a wet and raw December day. I also like the way that a little alcohol can go a long way. The Bull Shot calls for beef consommé (tinned is fine) vodka, a dash of Worcestershire sauce, dry Sherry, lemon juice, Tabasco, and black pepper. If your making it cold the Sherry is optional and the proportions will be more important (there are several recipes out there). If you're making it hot, start by heating the consommé and add everything else until it tastes good - how much you use will depend on how much you want to make, and how much of an alcoholic and chilli kick you want it to have. If you want to go easy on the alcohol the temperature and the chilli heat are already giving you quite a kick anyway. The Sherry (this would be a handy way of using up any open Fino, or Manzanilla, neither of which keep particularly well) adds a bit of body to the warm version, so it's the vodka I'd cut back on if you want a milder version as that's giving you no flavour at all. Christmas traditions come and go, one of my favourite of recent years (and long may it continue) has been the British Library's Christmas themed offering, especially the short story collections. I love a good short story collection at any time, but particularly at this time of year when I don't feel like I have a lot of reading time. I also feel that a good anthology is a fairly safe present - as long as you get the genre right you can't really go wrong. 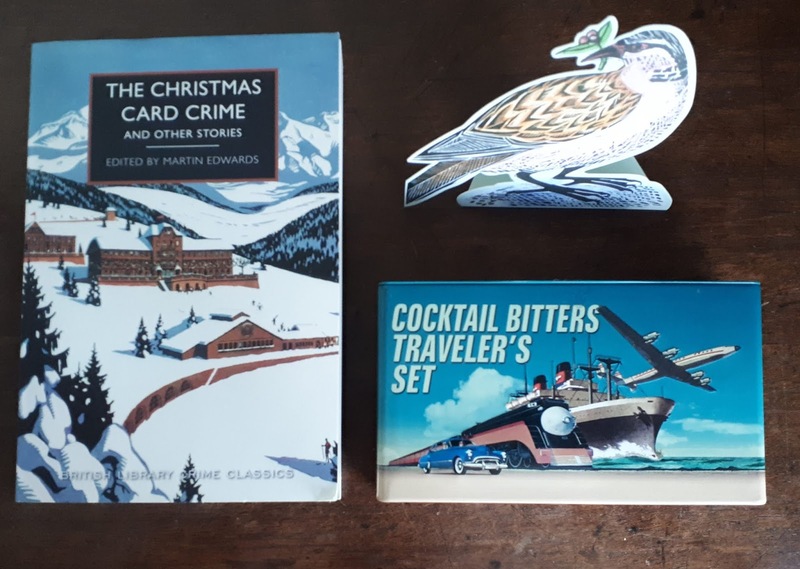 This years offering is 'The Christmas Card Crime and Other Stories' edited by Martin Edwards who has found some absolute gems. It's a fairly dark collection by earlier British Library standards - 'Sister Bessie or Your Old Leech' is particularly bleak, and 'Blind Man's Hood' crosses over into ghost story territory in the best Christmas tradition, and I like that too. It's a balance to the sentimentality of the season. I wonder if the resurgence of interest in golden age/classic crime and the renewed interest in classic cocktails and their ingredients is in some way linked? Perhaps both or symptomatic of the same kind of nostalgia for the (mostly imaginary) certainties of the past. Or maybe it's that both are more or less a good thing and there are enough people who appreciate that. Either way Cocktail bitters are making a very welcome reappearance. If you're really keen you can make your own. I'm not tempted to do this, mostly but not only because I wouldn't get through them quickly enough. Bitters still aren't the easiest thing to find in the high street though. Marks & Spencer's keep trying, but they generally seem to end up being reduced to clear (at least around here). A good independent wine merchant, especially if they're good on spirits, will probably have a decent range, otherwise it's the Internet. Bitters are useful though, and go far beyond the Angostura variety. Because you only use a couple of drops you don't particularly need to worry about the relatively high alcohol content, add a dash to a mixer for a very low alcohol reasonably grown up tasting drink. They're a god send for improving a mediocre gin, or whisky for that matter, and originally their use more or less defined something as a cocktail (rather than a flip, sling, julep, etc). The Bitter Truth make a couple of sets that contain 5 different bitters in 2cl bottles. They're not especially cheap (I think with postage my travelers set cost about £18) but good value considering how far they'll go. I like these sets for the variety they give - it's a tin of possibilities that is actually perfect for traveling with. The Traveler's set has orange, celery, Creole, old time aromatic, and Jerry Thomas' own decanter bitters - orange bitters feature a lot in old cocktails, celery bitters in a few contemporary ones - all of them have their points. 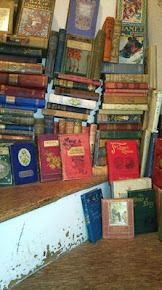 I think books make great presents, I like getting them, I like giving them. Something I really miss from childhood is the joy of being given book tokens - the best gift for a bookish child (or adult), and the best books to give are ones you know are wanted. I turn my Amazon wish list over to my family and ask them to choose from it for me. I don't know what they've chosen, but they know I'll want it. 'The New Yorker Encyclopedia of Cartoons ' is definitely a wish list sort of book - expensive enough that you might put off buying it yourself for a while, but not so expensive that I wouldn't buy it for someone else (it's just under £50 on Amazon at the moment) if I knew they'd really like it. It might give Santa a hernia trying to deliver it (you get a lot of book for your money) but this would be such a nice thing to open at Christmas and retreat into - it would keep you busy right through to the New Year and beyond. The Manhattan, which features both vermouth and bitters, has been my favourite Cocktail discovery of the year. It's taken me so long to find them because I don't normally have American whiskey around, but I was given a bottle of Maker's Mark a few months back and needed something to do with it. For preference I like my whisky Scottish, not because I think it's inherently better, but because it's what I grew up with. Bourbon has to be aged in new, charred, oak barrels and that wood has a dominant effect on the spirit. (A lot of those barrels then make their way to Scotland for malt whisky to be aged in, but the bourbon has tamed them a bit by then) and when I was first learning about these things good Rye whiskey wasn't as easy to buy as it is now so I've kind of overlooked it. When I consult the Savoy Cocktail Book there are 4 Manhattan recipies giving options for sweet and dry, the one thing they all have in common is that they specify Rye or Canadian Club. My Maker's Mark is bourbon, so I kept looking for recipes. I found one on a bottle of Cocchi Vermouth di Torino (another current favourite). This just asks for an American whiskey, and the results are great. It's 60mls whiskey, 30mls Cocchi Torino and 2 dashes of bitters stirred over ice and poured into a cocktail glass. Garnish with a twist of orange or a marischino cherry. Angostura bitters are generally specified, but I've also been happily experimenting with some cranberry bitters I found going cheap in Marks & Spencer's. I think there are enough variations in the old recipes to allow a bit of space for innovation on the bitters front, but it is really important to use good whiskey and vermouth - you'll know if you don't. Anything with vermouth in it has a vintage flavour to me (I imagine this is what the 1920's and 30's tasted like), my partner describes it as musty, I prefer complex - the more I drink it the more I like it. The Manhattan is a great showcase for it, and just the thing to sip with a really comprehensive collection of Cartoons. 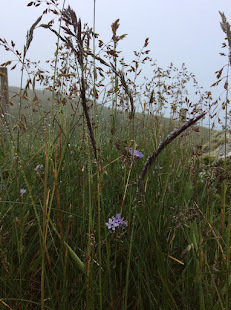 And my carefully considered blog plan might as well be thrown out the window, because this book - M. F. K. Fisher's 'Consider the Oyster' was never part of it. I found 'Consider the Oyster' in the poetry section of Waterstones this afternoon - it didn't belong there either but as soon as I saw, it it answered a tricky Christmas present question. I don't know if M. F. K. Fisher remained well known in America, and is only just being rediscovered here, or if she'd all but vanished everywhere but having seen her quoted or heard here mentioned in passing for years it's a great to be able to actually get her books again and see what all the fuss was about. Turns out she's brilliant, funny, informative, opinionated, knowledgeable - everything I want a food writer to be. I had rejected this book on my own account because I can't bring myself to swallow a raw oyster. I've tried, I failed, and it was such a failure I'm not even especially keen on reading about them. This is an exceptionally pretty book though (the cover is pearlised, for all the world like a palate of eyeshadow) and just the thing for a foodie in my life. It's a mix of recipes and anecdotes worked into essays, it will be the perfect book to retreat into over Christmas. Oysters work surprisingly well with a range of Wines and also Guinness, but whilst I might drink a Muscadet Sèvre-et-Maine on its own on a hot summers day none of those very dry wines appeal in the same way without food in winter, and I don't get especially excited by the fruitier new world Sauvignon Blancs either - although they're very drinkable on their own. An extra Brut Champagne is a different matter. Laurent Perrier and Pol Roger are both easy to find, and I really like my Champagne bone dry. It's exactly what I'd choose to sit and read a book with, and a couple of glasses might even persuade me to try again with an oyster - if anything could make the idea bearable it's a good slug of good Champagne. If you generally find Champagne too dry this probably isn't the style for you - not that I feel like it's particularly dry whilst I'm drinking it, it's more that other champagnes start to seem cloyingly sweet by comparison. If dry is your thing though it's just wonderful (I am particularly fond of the Pol Roger Pure if anybody wants to know...). It's December, and time for another books and booze series. I plan these quite carefully beforehand and then generally find myself ignoring the plan after different associations suggest themselves - in the plan 'The Savoy Cocktail Book' didn't actually feature. I thought I'd written a proper post about it before, but it doesn't come up when I search, and it would make a very good stocking filler or Christmas present. I like this book so much that I have an e-version on my phone which I bought when the hardback was difficult to find at a reasonable price, and a physical copy from when it was re printed. We've had a lot of fun with it. It was first published in 1930 and has been around more or less ever since, this edition has 750 original recipes and a few which have been added along the way. There are a lot of ingredients it's no longer easy to source, even more variations on the theme of gin and vermouth in fractionally different combinations, and some things which just don't sound very good. There are even more things in it which are excellent, and there's a lot to be said for gaining a thorough understanding of what a difference those fractionally different combinations of vermouth can make. The best cocktails in this book tend to be the relatively simple ones - or at least they are the ones I prefer. There are two things about these, one is that you don't have to make a huge investment in lots of ingredients (or time, looking at 'The Big Book of Gin' the other day there's quite a bit of space devoted to making your own syrups - which calls for some effort and forward planning), the second is that you do have to make a reasonable investment in quality spirits and liqueurs. And that's not a bad thing. The theme of my drinking year has been a new appreciation for vermouth's and bitters, largely because of this book and the questions that it's raised for me (vermouth comes in a rainbow of colours and goes from bone dry to sweet) when the only instruction is French or Italian. Angostura bitters are the easiest to find, most supermarkets should stock them. They're useful to have around for cooking with as well as for drinks, will add interest to an otherwise lacklustre gin and tonic, and feature in a lot of classic cocktails - and some less well known ones like the Newton's Special. This calls for a dash of Angostura bitters, 1/4 Cointreau, and 3/4 Brandy shaken well over ice and strained into a Cocktail glass. It has a decent orange hit, a touch of sweetness, and is beautifully balanced. I had a slightly unrealistic plan of getting up early this morning to make chutney (what with it being Stir up Sunday and the puddings already made) before going to see the Fantastic Beasts film (better than I expected it to be) with a friend. I'll probably make chutney next week. But I did have a good sort out and clear out of my kitchen. I've been doing quite a lot of that over the last couple of weeks, and if nothing outwardly looks particularly different, getting rid of a few bags worth of stuff has made me feel a lot better. The kitchen clear out has been especially fruitful, because I can get back into the cupboard where all the pans are, remove things easily, and without danger of an avalanche of cast iron pot lids landing on an unwary foot. I've also been searching for a half remembered chutney recipe, after a good bit of hunting it turned up where I should have looked first; Diana Henry's 'Salt Sugar Smoke'. I love cookbooks, possibly rather more than I love cooking (though I love that too), and there is always a new book that's getting the lion's share of the attention. I copy tried and tested recipes into a notebook to make them easier to find which is great but further cuts down browsing in old books. Really looking through 'Salt Sugar Smoke' again was a welcome reminder of just how very good this book is. Any Cookbook in my kitchen is there because I've found a good few things in it that I want to make, but this one has me wanting to make almost everything, and cursing how difficult it is to source white currents. 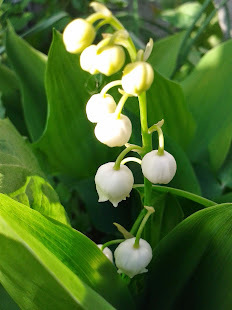 It has been the jams and jellies I've been particularly drawn to in the past - they have a particular magic, both in the process of making, but also in the way that you are literally preserving a moment of summer fruitfulness that can be bought forth to brighten some future, duller, day. This time I've been looking more closely at some of the pickles. Perhaps it's time to have another go at herring (a previous attempt didn't go particularly well). 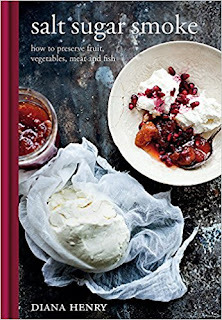 There are other things too, but you don't need my wish list of recipes to try, you need to look at this book yourself (if you don't already know it, and if you have it, but haven't looked at it for a while go back to it). I wouldn't necessarily say it's Henry's best book (although I might put up a spirited argument to that effect) but it is my favourite. It comes back to the romance I find in the idea of preserves, coupled with the practicality of it, and the sense of continuing a deeply rooted tradition. Generations of people have made these things, often from necessity - to use things which would otherwise spoil, and to make sure there is food for leaner times. I like being reminded of the effort it takes to make a batch of jam - a little trouble to check the fruit is in good condition, to sterilise the jars, and time to prepare and boil it. A lot of these recipes need to be done in stages over a day or two, or more. Doing that for myself occasionally turns every pot of jam, bought or made, into something special rather than another thing I take for granted. For all the stress this time of year can bring, I love winter, and the older I get the more I love it. As soon as the clocks go back I perk up. A big part of that is because the cooler temperatures and longer nights make it much easier to sleep. Open windows through summer nights in a city flat means noise. East facing windows mean dazzling sunlight getting through the blinds from around 5am, and big old warehouse windows create a greenhouse ambience that forces you out of bed by 6.30 even if an over enthusiastic blackbird coupled with a car alarm, and broad daylight haven't yet done the job. Better sleep makes everything easier, and so day's off are currently busy and productive which brings another sort of happiness. Today I've made the last of 4 Christmas cakes, it's taken maybe 9 winters, and dozens of cakes in that time, but the recipe (Dan Lepard's Caramel Christmas Cake) which has long been a tried, tested, and true friend had turned into something else this year. It's become so familiar that I hardly need to refer to the recipe anymore, and instead of a job to be done it's a deeply satisfying ritual to be anticipated. I also made my first batch of mince pies for visitors, using the last of last years mincemeat, and the first of this years. That was deeply satisfying too, and whilst they were cooking I started looking for a good chutney recipe. Diana Henry's Christmas chutney has been a staple for the last few years, but dried cherries are proving elusive this year so I thought I'd try something else, although I'm still not quite sure what. The post bought the latest edition of Slightly Foxed (NO. 60) which was welcome afternoon reading, all the hunting for chutney recipes lead to something interesting for dinner and a renewed appreciation for another Diana Henry book; 'Roast Figs Sugar Snow' which suggested 'Hot Lightning', a mix of waxy new potatoes, streaky bacon, apples, and pears. This book is full of winter inspiration, and after what feels like an age of going through the motions to cook, it feels good to have found some excitement about it again. I've also had a good clear out, something else that's become a pre advent ritual, getting rid of bags of stuff to Oxfam - and that lead to the high point of the day. A really good view of the Peregrine Falcon that lives on the cathedral. I've caught glimpses of it before, but they've been fleeting. Today was different. I think there are a few of them around town, but this one is probably the easiest to see thanks to the cathedral garden with its many benches to sit and look from. Being old enough to remember when Peregrines were vanishingly rare, and in real danger of being lost altogether in this country, to have them literally on my doorstep is still something I can't quite believe. Seeing this one felt like a tremendous privilege and the greatest good luck.